As a partner of the Good Food and Wine Show, the Parmelia Hilton hosted a special cocktail event featuring a lively and entertaining Q & A with Chefs from the Good Food and Wine Show. If you are a foodie or you have been a fan of the Masterchef series on Channel 10, I am sure some of these names would have ring a bell to you. The chefs who were present were Antonio Carluccio, Matt Moran, George Calombaris and Alastair Mcleod. When I received the invitation from Julia, the Marketing Manager at Parmelia Hilton whom I had lunch with at Adelphi Grill, I replied straight away with a big YES. This was an opportunity not to be missed and Matt and I are very grateful to be invited to attend this event. The Q & A session was very interesting, light hearted and some parts were humorous with some insight of the chef’s experiences in their own restaurants and on TV. It was a great experience to see the chefs with their bubbly personalities live instead of how we usually watch them on the screens. 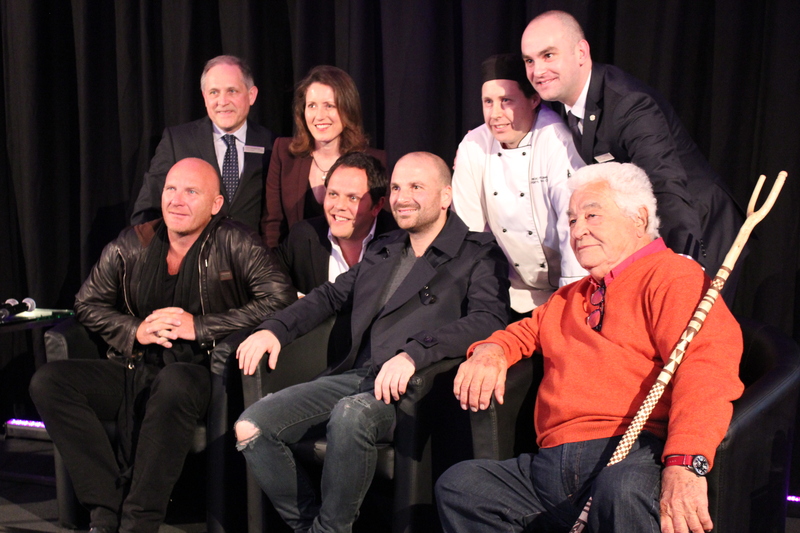 Pictured, Matt Moran, Alistair McLeod, George Calombaris and Antonio Carluccio with the hotel’s General Manager, David, Marketing Manager, Julia and Events Chef of Parmelia Hilton, Ricki. We were also treated to canapes from the hotel’s new event menus with O’Leary Walker wines and cocktails. 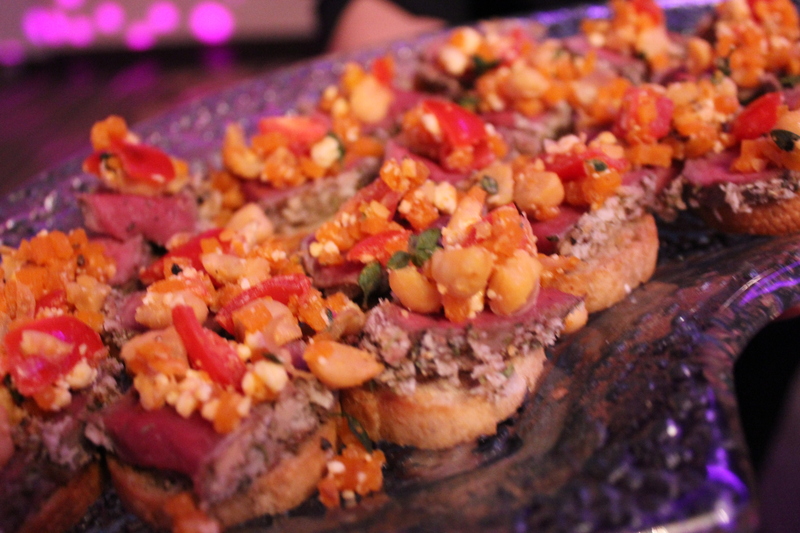 Each of the canapes which came out from the kitchen were delicious and full of flavour. 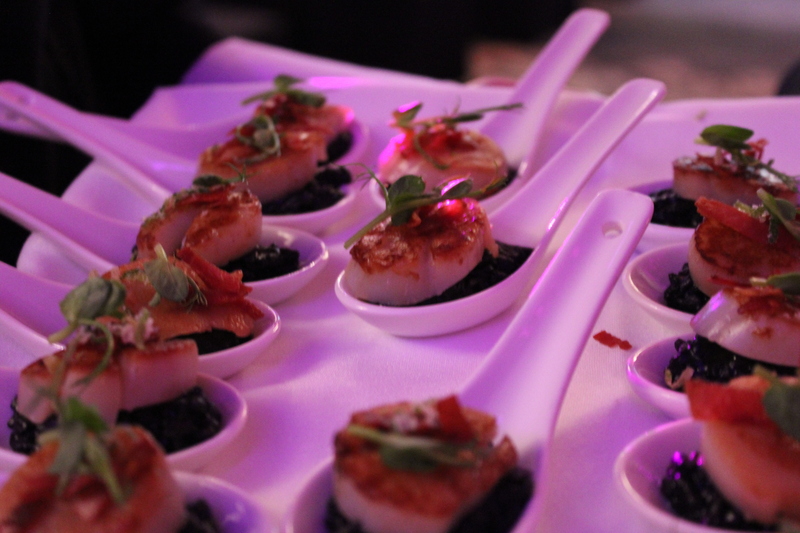 Our favourites were the scallops with squid ink risotto and kangaroo. 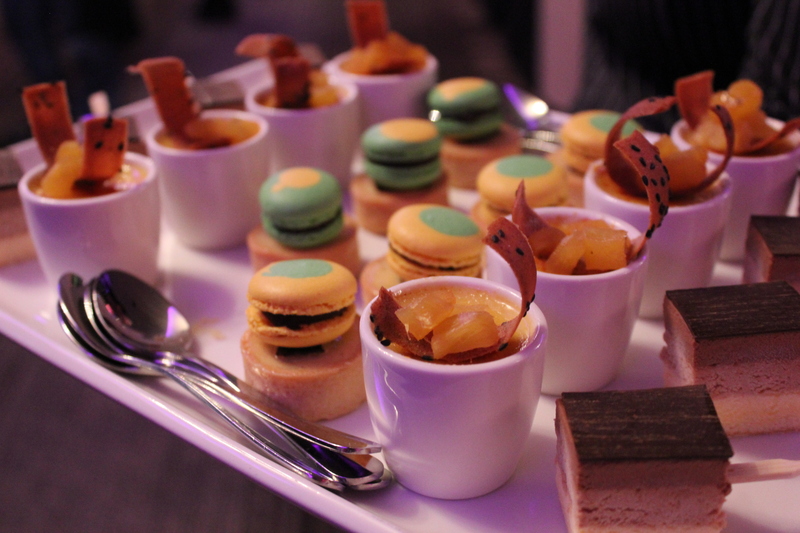 Oh and the dessert canapes were really lovely too. I love love loved all of them. Looking for a venue for that special day or to hold a function? Check out Parmelia Hilton’s new event menus which will tantalise your tastebuds while making it an unforgettable night. Lastly, Matt and I would like to thank Julia for the invitation to this exclusive cocktail event at Parmelia Hilton. Jealous Mel! What a great experience!